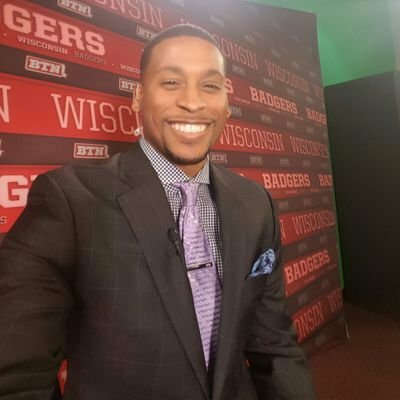 Brandon Williams, former Wisconsin Badgers and NFL wide receiver, will serve as Master of Ceremonies for the entire conference. Brandon is on the front lines when it comes to motivating, educating and empowering athletes, entrepreneurs and executives on the importance of creating a winning culture. Through his experiences as a NFL player, Entrepreneur, Author and Sports Commentator he has learned how to succeed and thrive despite the interceptions that life often deals unexpectedly. His purpose in life is to share the principles that have helped him build a successful post-NFL career. Distinctive excellence defines all Brandon sets out to do. Brandon earned a communications degree and an entrepreneurship certificate from the University of Wisconsin. In the NFL, he played for the Pittsburgh Steelers, San Francisco 49ers, and St. Louis Rams. Upon leaving the NFL in 2010 Brandon began a broadcasting career with the Big Ten Network and ESPN radio. Brandon has worked with and interviewed hundreds of Athletes and Entrepreneurs to find out what it takes to build transformational leadership qualities. As an entrepreneur himself he successfully runs Madison Noteworthy, a video based website that captures the stories of noteworthy Entrepreneurs in Madison. His book, Millionaire Mindset – 7 Principles Athletes Need to Gain Financial Freedom, is enhanced with essential principles to give aspiring professional athletes, and current professional athletes, the tools to create a blueprint for financial freedom. Brandon’s success formula? Passion + Purpose = Success. Michael Johnson, CEO of the United Way of Greater Cincinnati -- one of the largest United Way organizations in the nation -- will return to Wisconsin just to attend the Wisconsin Leadership Summit and speak on leadership during the breakfast session on Friday, October 19. Michael is no stranger to Madison or Wisconsin. He served as the President & CEO of Boys & Girls Clubs of Dane County and one of the true leaders of the entire Greater Madison community. He led the agency on an amazing journey of change – transforming the organization from a local children’s charity to a change agent for children and families while driving high standards of excellence in financial transparency, community engagement and governance; all with the goal of making a significant, measurable impact in the lives of children and their families. In eight years as their CEO, the Club made significant accomplishments: They developed a bold, five-year $15M plan that resulted in more than doubling the number of children and families being served in South Central Wisconsin, tripled the number of employees and grew their operating budget by 318 percent during his tenure. We are lucky to have him coming to the Summit to share some of the secrets of his success!